Fortune 500 companies have the resources and in-house expertise to put a Strategy or Business Planning team together. However, SME companies are in a different position. They often lack the resources and expertise. In addition, management cannot afford to be solely focused on strategic planning, neglecting the day-to-day operations. And, even if you would prefer to tackle all business matters personally, engaging an outside expert at this point of growth helps to ensure any issues receive proper attention and are thoroughly resolved. It can be useful to have a third-party’s perspective on matters that require objectivity, or an “extra set of eyes” to verify that no mistakes have been made and no opportunities have been missed. Getting your growth strategy right is essential to deliver security, stability and long-term profits for your enterprise. According to the research by Zeqr, the knowledge-sharing platform, small businesses in the UK collectively spend around £60 billion per year on professional services, yet, 20% is wasted on unnecessary or bad advice. Coupled with that, some SMEs feel that they are often paying for recycled material not really tailored to their specific business needs. Therefore, choosing the right consultants to help your business is a critical decision. You want to use a consultant that you can trust to aid you in achievement of your business objectives, in developing innovative decisions and solutions, identifying and grasping new business opportunities, recommending organisational changes, implementing a better business strategy, and also helping to enhance your own leadership capability and credibility. Look no further – GetSet is the best choice for you. Why are GetSet Consultants different? GetSet represents a new concept in business consultancy for small and medium-size companies. Part of the YTKO group, GetSet works directly with ambitious businesses, on their marketing, finance and operations, to increase sales, profitability, and growth. GetSet is different to the big consultancy houses and other boutique consultancies because we are an SME, having gone through all the challenges of growth on our way to surpassing the 100 headcount milestone. We understand the focus and drive of entrepreneurs, and we have gone through the ups and the downs associated with running your own business. Many of our consultants have also run their own businesses, as well as gaining knowledge and skills from high profile roles in the private and public sector. GetSet has supported over 5000 SMEs, building their capacity, capability and skills with workshops, 1:1 consultancy, and expert masterclasses. We’ve enabled clients to raise over £13m in finance, with a further £4m in our current finance pipeline. GetSet is unique because we integrate and focus on the two critical disciplines of marketing and finance, the engine drivers of business and the two areas that are essential for sustainability, growth and scale. Our client base of SMEs, turn over anything from <£500,000 to £20 million. We provide holistic support, sharply focused on the two big challenges, but providing additional advice on people and operations. The approach we take with each client is 100% unique and entirely customised for their particular business challenge. Our clients trust us to guide them on their growth journeys. How can using an external business growth consultant help your business? Businesses that are successful look outward and look forward, to see what sort of future is coming. By doing so, they can react immediately to deal with potential threats and to optimise their opportunities. 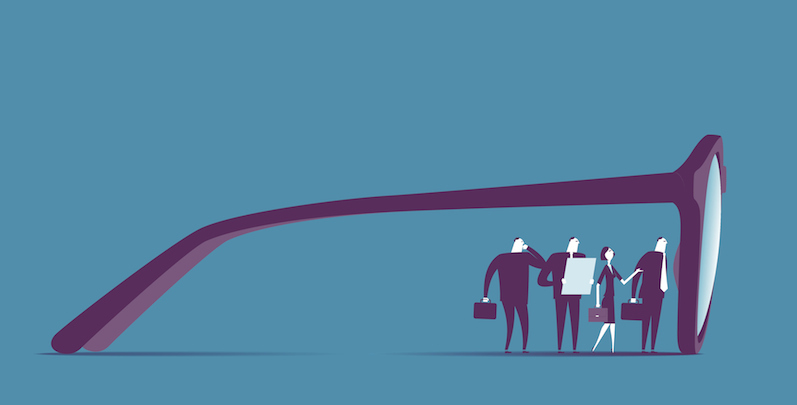 Recent research by Cranfield Business School shows that an external perspective is overwhelmingly valued by leaders, but is widely lacking in many businesses. Typical executive activity patterns reflect limited attendance at ‘outside industry’ events and courses, a reluctance to network widely, very little ‘outside industry’ benchmarking activity, and industry-specific reading and research. Consultants have a broad overview, understanding, and external perspective by working in different sectors. They can therefore bring an external perspective to business leaders, plus an objective point of view. Consultants work with a wide variety of clients and frequently tackle problems which would confront any individual client only once in a decade or more. Often you are so focused on the day-to-day and meeting short-term objectives that you do not find the time to plan adequately for the future. A trusted advisor will help you take that long-term view and gently lift you out of the short term burning platform issues – so you can actually see where you need to go and get perspective at the critical moment. Consultants will challenge the status quo if they believe change is required for growth. Performance cannot be improved if the status quo is never challenged and management is not willing to discuss, let alone implement, change. You need a consultant that you can trust to advise you on your business growth. We understand that sometimes, being an entrepreneur can be a lonely position, and we will provide the support you need whatever challenge you choose to tackle next. Have you been in a situation where you know exactly what needs to be done – but simply do not have the time to implement your plans? A consultant can drive through your plan for you. Tasked to focus on a specific project, they will drive it through, meeting milestones and deadlines, since they will not have the daily pressures and disruptions that you face as the business owner. Use external consultants when you need deeply specialist knowledge for a project, or process improvement. GetSet Consultants give business leaders the opportunity to bring in niche skills on a “pay as you go” basis, without the commitment of employing someone – particularly helpful if the need is short term or project based. Consultants have the rare privilege of working with multiple clients in the same sector and often serving various clients facing similar problems across different sectors. Experienced consultants have seen your problem ten’s of times before, possibly hundreds. There really isn’t anything new about your issue or challenge they haven’t seen before. They won’t be shocked, they won’t be easily overwhelmed, they won’t judge you and they will, 100% know, how to get you through it and out the other side. GetSet consultants specialise in the two disciplines of marketing and finance, the engine drivers of business and the two areas that are essential for sustainability, growth and scale. When a business is up-skilled to understand what the best route for growth is – i.e. where there is most fit between market need and business offer – and learns the best ways of reaching and securing that market, the outcome is knowledge and clarity. GetSet can provide you with the “how” to get from A to Z, and to create a realistic business plan, or determine the level of working capital or growth finance required to execute that road map successfully. Research has shown that businesses have more confidence in external consultants than internal consultants. External consultants will offer an independent, impartial, fresh viewpoint, free of personal interest, pre-conceptions or existing traditions and loyalties. They can also provide an inquisitive and firm hand. Consultants will help you identify potential missed opportunities, and more importantly can also provide clarity on the opportunity cost. For example, if you allocate precious resources to one task / project – are you absolutely sure this is the right one to invest in? What else does that prevent you from doing/resourcing? A consultant will identify if there is a better task / project for that same resource to be applied to that will drive even more revenue / better strategic positioning for your business. Finally, a word of caution: Consulting projects can only ever be as good as the client company’s Senior Leadership team. A consultant can offer recommendations based on their deep professional expertise, but if the client leadership / CEO doesn’t want to listen, think they know better, or fail to correctly implement those recommendations, then the project outcome will fail. So just remember – it is a two-way street. A consultant can’t fix your business issue on their own. They can only fix it WITH you. If you are an SME that is preparing for growth, now is the perfect opportunity to contract GetSet to gain financial and marketing support for your business and bring that much-needed outside perspective to help you set and achieve new goals. Successful companies have chosen us as their trusted advisors and have been benefiting from our financial and marketing experts in developing the best opportunities for growth. We offer a fresh and independent perspective, as well as tools and methodologies to support smart business decision-making.